A poor earnings report from Bombardier was among the drags on the main index of the TSX Thursday. 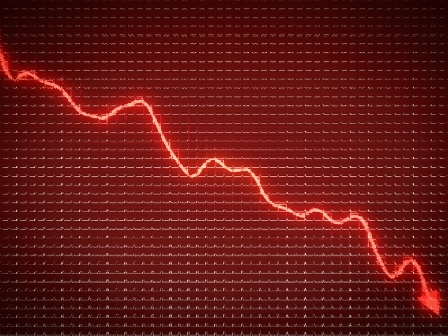 Gold and oil prices were also in decline adding to the downward pressure on stocks. Elsewhere, Wall Street also suffered losses despite the Fed’s decision to hold interest rates in the previous session. The high chance of a December hike is triggering investor caution. Asian markets were generally lower with Tokyo and Shanghai outperforming regional peers to end the session higher. In Europe, there were mixed fortunes but most major indexes closed with losses; Germany’s DAX was hit by Deutsche Bank’s 6.9 per cent drop on news of the potential $200 million cost of a US investigation into breached sanctions on Iran and Syria. A $1 billion investment from Quebec which will support Bombardier’s CSeries program was not enough to avoid a drop in the firm’s shares Thursday as results disappointed. The third quarter loss was a larger-than-expected $4.9 billion including a write-down on the CSeries and a charge on the mothballing of the Learjet 85 program. Bombardier’s widely traded Class B shares plunged 12 per cent to C$1.42 at 1:25 p.m. in Toronto after a drop of as much as 18 per cent, the most in intraday trading since Aug. 24. The Canada Mortgage and Housing Corporation warned Thursday that most Canadian housing markets are overvalued with “strong overall evidence of problematic conditions in Toronto, Winnipeg, Saskatoon and Regina.” As well as overvaluation, overbuilding was also highlighted as an issue by economist Bob Duggan who wrote that lower prices or stronger economic conditions could fix the problem. New figures from Statistics Canada show that average weekly earnings of non-farm payroll employees were $947 in August, down 0.7 per cent from the previous month. Compared with 12 months earlier, weekly earnings increased by 0.8 per cent. Non-farm payroll employees worked an average of 32.8 hours per week in August, down from 33.1 hours in July and also down from the August 2014 average of 33.0 hours.